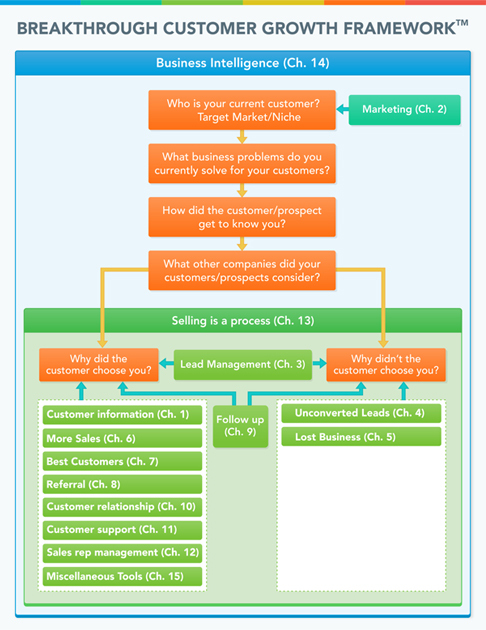 Are you struggling to generate sales using CRM? Do you want to generate even more sales? Are you looking for Sales Transformation? In simplistic terms, people view CRM as a customer database. However, Customer Relationship Management (CRM) is an incredibly powerful business strategy and process, supported by the relevant software that allows you to collaborate more effectively to acquire, retain and support customers. You can manage customers using diaries, mobiles, spreadsheets or databases. However, to optimize sales and productivity you should be using CRM software. CRM software not only helps generate sales, but also helps develop other aspects of business such as marketing, support, and e-commerce. The eBook furnishes the reader with the skills needed to harness sales through CRM software. This eBook focuses purely on how to generate sales from new and existing customers using CRM, to allow business to undergo sales transformation. This eBook focuses on those aspects of CRM that both, directly and indirectly, increase sales and saves time. Anyone who is either using CRM or contemplating to use CRM to generate sales. This eBook is applicable to small, medium and large size businesses as well as non-profit organizations. The book focuses purely on how to generate sales from new and existing customers using CRM, to allow businesses to undergo sales transformation. It lists 156 ways to achieve sales using CRM. My promise to you is that once you read this book, you would get numerous powerful ideas on how to generate more sales quickly, if not instantly using CRM. Author has spent more than hundreds of hours. It is one of the most comprehensive eBooks on how to generate sales using CRM (Customer Relationship Management) The eBook is vendor agnostic i.e. it’s not biased towards any particular CRM. First, check the chapter ‘Book Framework Explained’ to obtain an overview of the book, how each chapter relates to one another and to get an insight into the overall scheme of things. This book follows a logical sequence. However, each chapter can be read as a stand-alone chapter. Mark the best ideas as you go along with a highlighter or jot them down in your notes. Read the book numerous times, each time you will get different insights. The action is critical; nothing happens until you become proactive and take action. I promise, taking action will produce results and breakthrough customer growth. The book has fifteen chapters. Each chapter has been organised in the following way. Quotes: Quotes applicable to each chapter topic. Facts: Some facts related to the chapter topic. Introduction: Introduction to the core issue the chapter is addressing. An imaginary business scenario is outlined with a brief explanation of the chapter topic. The reader is the central character. How can CRM help: It outlines ways to generate sales using CRM with respect to the chapter topic. Hitesh Changela is CEO of an innovative, UK-based software company, CRM Ultimate. He stands with 18 years long experience of his successful career to help other innovators, entrepreneurs, and businesses to write the same, preferably a better, success story. Hitesh and his team developed CRM (Customer Relationship Management) Software while working closely with clients. It’s one of the most comprehensive CRM software yet simple, effective and easy to use. Hitesh and his team have developed another software Growth Workbook which is essentially a software to help businesses to win business. It has four components. A) Buyer persona B) Quiz/assessment 3) Survey 4) Growth modules. Hitesh has written several books published on Amazon. His book has got excellent testimonials from the world-class CRM experts, billionaire and business experts. Hitesh has published several eBooks. Hitesh holds an MBA in Marketing and he lives in London, UK.